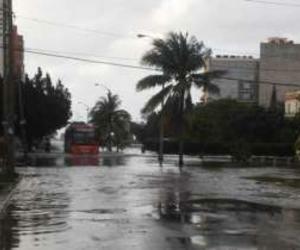 Intense rains and strong winds have shaken the western region of Cuba, particularly Havana where there has been frequent flooding in urban areas near the coast. Sunday afternoon the waves at the Malecon in Havana reached five blocks far from the sea. The phenomenon has been caused by the persistence of strong winds from the northwest region in the southeastern of the Gulf of Mexico.